Granted, I think it’s great to represent your company, be a team player, and share exciting news – that’s part of what enables us to be an extension of our corporate brand. It just can’t be everything that it’s about. When Twitter feeds turn into news feeds, they lack personality…and somehow, I feel they also lack authenticity. How do I know that person is even the one tweeting? It could be coming from any PR agency, Marketing department, or Personal Assistant & nobody would be the wiser. Part of what I love about social media is the ability to get to know people I work with that live miles away and I only get to see in person once or twice a year. In order to do this, you have to let your personality show, you can’t just be a CNN headline factory. 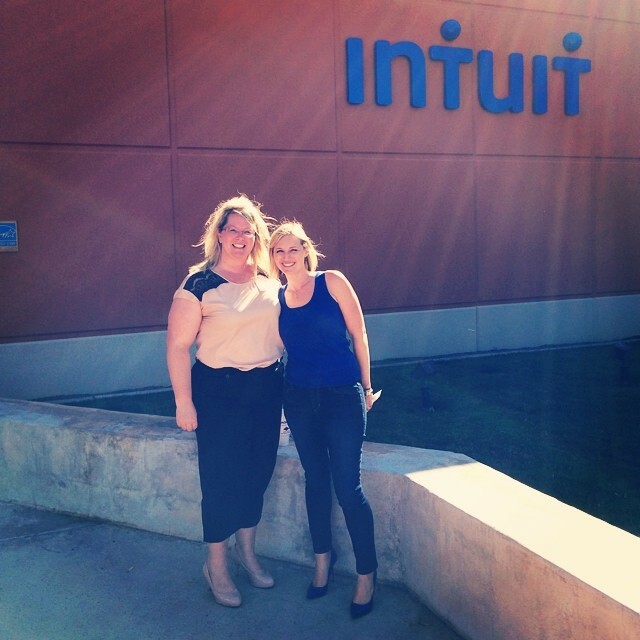 Just last week I hosted an Intuit Women’s Network (IWN) “Coffee Chat” in our Tucson office. I thought it would be great to have an Intuit partner share thoughts on being a woman business owner with our group, so I was thrilled to invite Gabby Luoma as a guest speaker. When I introduced Gabby to the group, I mention the fact that before I ever met her in person I got to know her on Twitter. When I got the opportunity to finally meet her face-to-face, I felt like I already had spent hours with her. Gabby shared her perspective on being transparent in her business and on social media, and sharing some of her personal life experiences with her professional contacts. I immediately relate to her on this topic, as I too have tended to take on the blurred lines between work-life and home-life. In a world where people do business with people they know, like, and trust, creating a personal brand and letting it show on social media is an amazing and powerful tool. Some of my closest professional friends are people I first met via social media as opposed to in person. They are people I saw online, and based on their online presence I knew I wanted to be their friend. If they didn’t let their personality shows through, and just retweeted somebody’s content, I never would have known how much I wanted to know them.